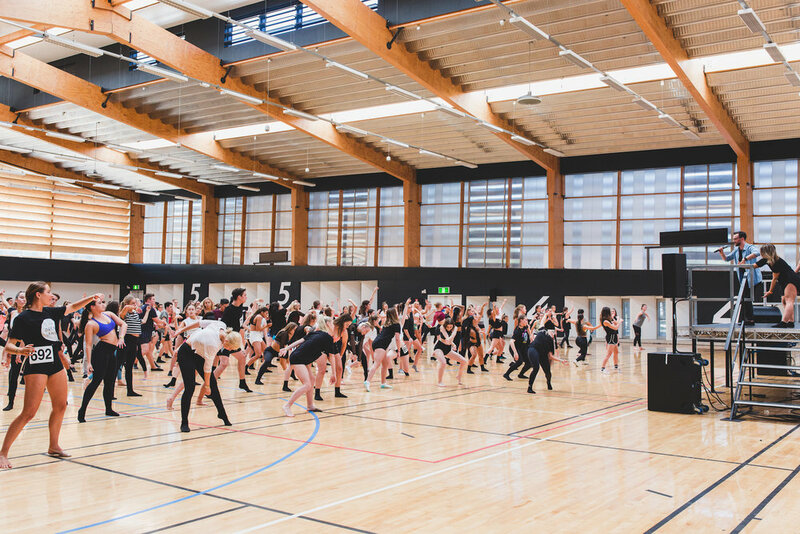 The Australian Dance Festival has come and gone for another year, marking the 9th time ADF has gathered the wealth of diverse talent in Australia for a no-holds-barred dance extravaganza that caters to everything from jazz to salsa and hip hop. 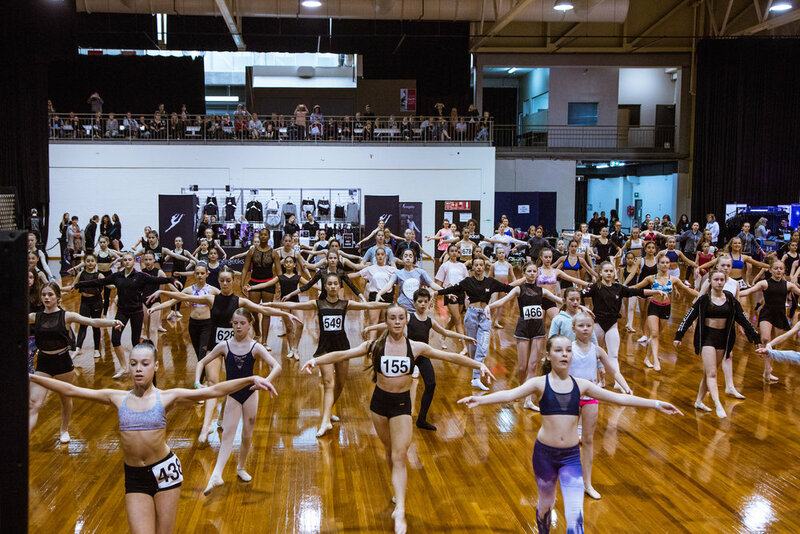 Dancers got to showcase their skills both on stage and in the jam-packed classrooms where some of Australia's most acclaimed teachers and choreographers put the thousands of attendees through their paces. This year's event stayed true to the high-octane atmosphere that ADF is renowned for, with highlights including Stephen Tannos kicking things off on the Saturday with his trademark genre-fusion in an electrifying jazz/funk/hip hop class, Lucy Doherty teaching a moving contemporary routine that brought participants and spectators to tears, and a spell-binding performance of Enter the Vortex by the Dream Dance Company to bring the weekend to a close. 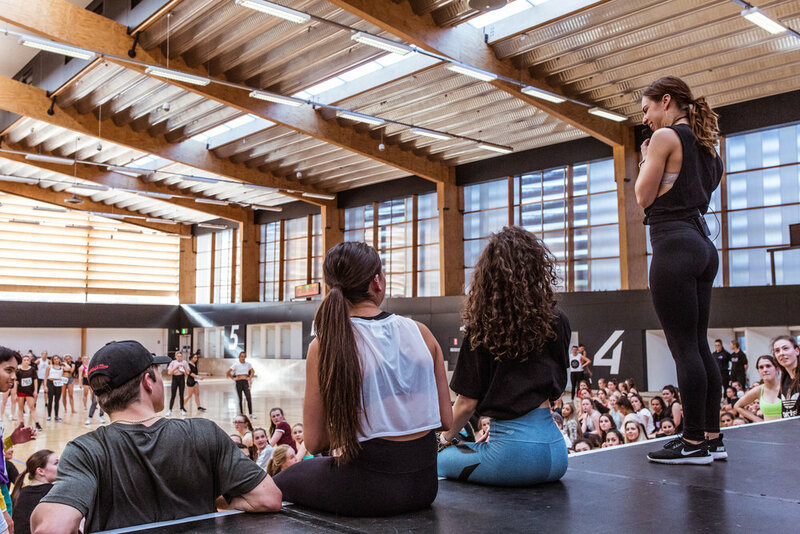 It's this breadth of experience, and the volume of opportunities that ADF offers every dancer throughout the course of the event that makes it such a highlight in the dance community. 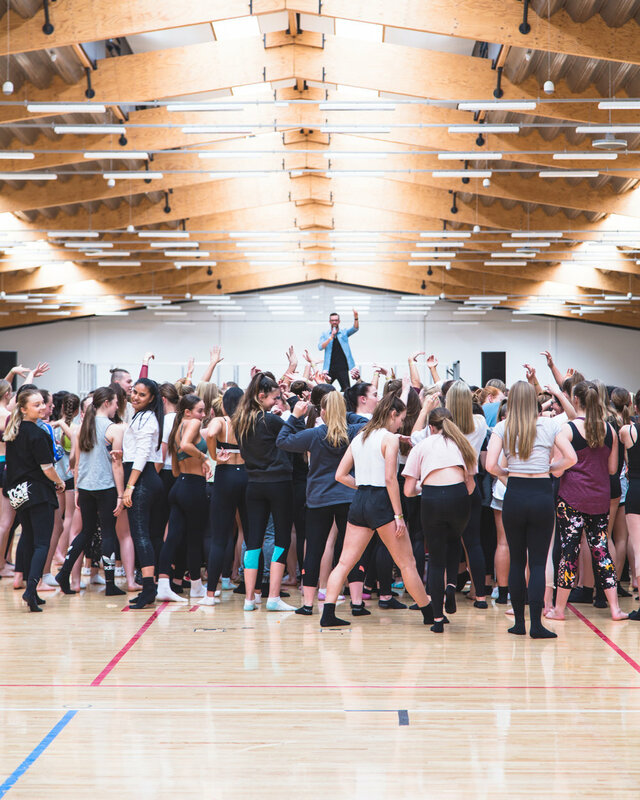 The Festival hosts a rare combination of class, performance, competition and choreographic opportunities that make it uniquely equipped to appeal to everyone from young beginners, to professional dancers, teachers and schools, seeing many travelling from interstate and abroad to attend the event and ensuring the combined energy of the thousands of attendees never fails to raise the roof. This year also saw the recurrence of the Dance Around the World Solo Comp, as well as exciting new opportunities such as Australia's N.E.X.T. 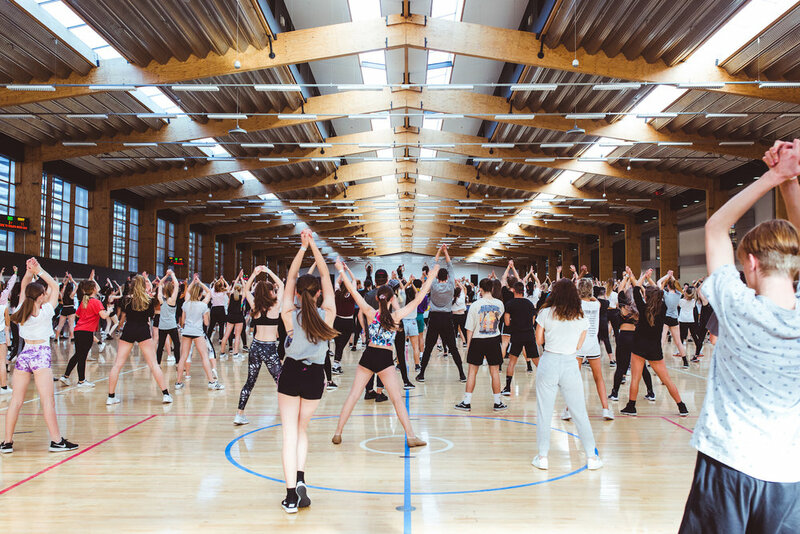 Choreographer Awards, which gave eight up-and-coming choreographers the chance to win $5,000 to produce a video showreel of their skills, along with the production crew to make it happen. 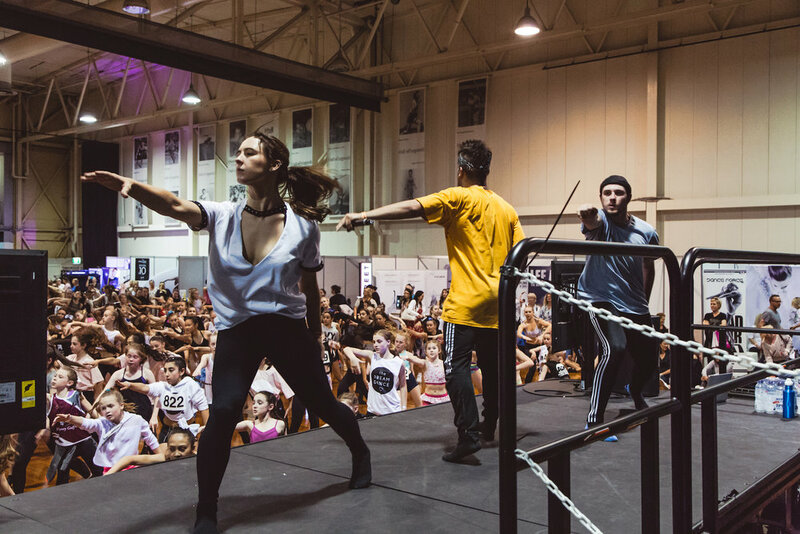 The event also gives dancers the opportunity to step outside their comfort zones and try new genres, as well as learn from the dancers and industry professionals they aspire to. Cat Santos' Jazz class was a perfect example of the excitement younger dancers felt to be able to get up close and personal with their idols. Cat's under 14's class packed out every corner of the room. Dancers also embraced the chance to learn some Salsa, with a latin class on the Sunday morning taught by Pedro Gonzalez and Energetiks' own Marketing Manager Elysia Mangier (currently a 9 times Australian Latin Champion). Whilst the class was officially an under 14's routine, by the end of the lesson the participants had doubled in size - with everyone from parents to older dancers unable to resist the temptation to join in. Energetiks' Business Development Manager David Williams also graced the stage on Sunday to share his teaching skills (having gained over ten years experience in the dance industry as a dancer, teacher and mentor, working with companies such as Sydney Dance Company, Black Grace Dance Company and Expression Dance Company). David's classical class was a favourite amongst youngsters, spicing up his centre work to the playful tempo of Avicii's 'Wake me up' and finishing with a fast-paced routine that blended pure classical technique with lyrical accents, set to Vivaldi, The Four Seasons: Spring 1. Angela Lau, Director of the Australian Dance Festival summarised what makes the task of bringing the event together each year so worthwhile: “The 2017 Australian Dance Festival was the best event I’ve ever had the privilege to organise. Everyone at the event was in such great spirits, and it really felt like we were bringing out the best in the Australian dance industry; it wasn’t just the talent that we saw on stage, but also the camaraderie, the support, and the connectedness that we feel because we all love dance.” This is a sentiment that Energetiks echoes, having sponsored the event for the past three years, and being as involved in every aspect of the weekend as possible; from sponsoring classes, prizes and performances, to teaching classes ourselves, taking part in industry Q&A's and bringing our Energetiks stall and newest collections to ADF all weekend long. "As always, it was a great pleasure to have the team from Energetiks at the event" said Angela, "David Williams is always a popular instructor, and it was also great to have Elysia Mangier teaching her workshop with Pedro (boy, he was popular with the girls! ), and also being part of the Q&A with industry greats. 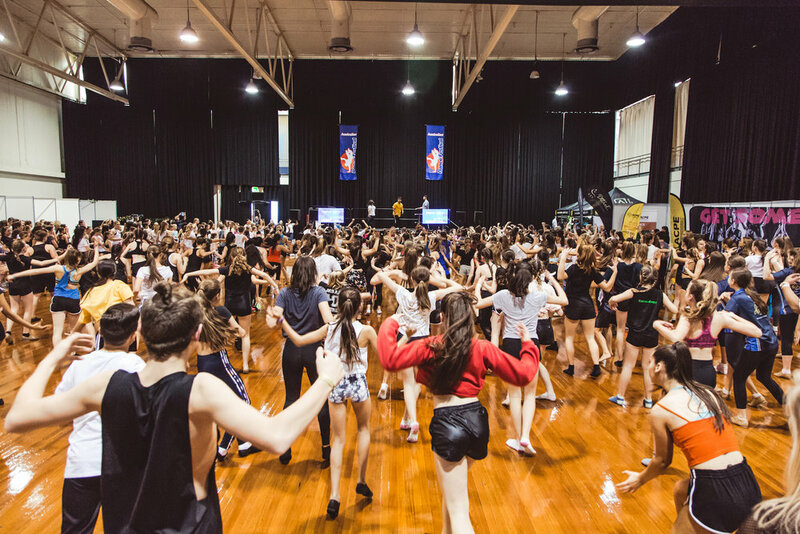 Throughout the event, Energetiks staff were totally engaged in all the activities that ADF had to offer, showing that they are not just a dance retailer, but truly a part of the Australian dance community." The level of talent at this year's event was spectacularly high, making for a challenging undertaking for the judges who were tasked with choosing a winner from the fifteen under-14's 'Rising Star Award' and one from the thirty-one senior entrants for the Dance Around the World Solo Comp. Max Ostler and Jamila Escobar made a particularly strong impression from the under 14's, and Maikolo Fekitoa, Amira Younan-Wise, Laura Spence and Joshua Williams were some of the standout contenders from the senior division. Jamila Escobar and Brendan Weals were ultimately awarded well-deserved 1st place titles in their respective categories. A change of pace from the solos was Australia's N.E.X.T. Choreographer award which saw eight talented choreographers premiere their own original works, including Cat Santos, Neal Whittaker, Lucy Doherty and Rob McLean, all current members of the Dream Dance Company, joined by Jordan Grant (from the Phly Crew), Brandon Atoui, Blake John Wood and Sarah Vai. All eight works exhibited great skill, and the range, style and ambition displayed by each piece was one of the few commonalities between the group, as audiences were treated to eight incredibly distinctive creations. Rob McLean's all-male piece (nine men under the power of a homogenous force of emotion, enduring it with alternating strength and fragility) generated such raw, powerful intensity that the end of the performance had the kind of resounding impact that leaves an audience momentarily breathless, and was received with a greatly deserved standing ovation. Lucy Doherty's exquisitely poignant piece 'Burn Away' was pure and grounded; crafted to capture the unrefined emotion of love, the full spectrum of emotion that comes with it, and the concurrent nature of it all. Doherty's choreography was a bittersweet reminder of how the most intense experiences always seem to coexist. Just as often the greater joy something can bring, the greater the sorrow, and so on. The beauty of watching something with such an earnest message was certainly intensified by the privilege of watching two real-life couples together onstage: Neale Whittaker and Aimee Regan, and Rob McLean with Lucy herself. 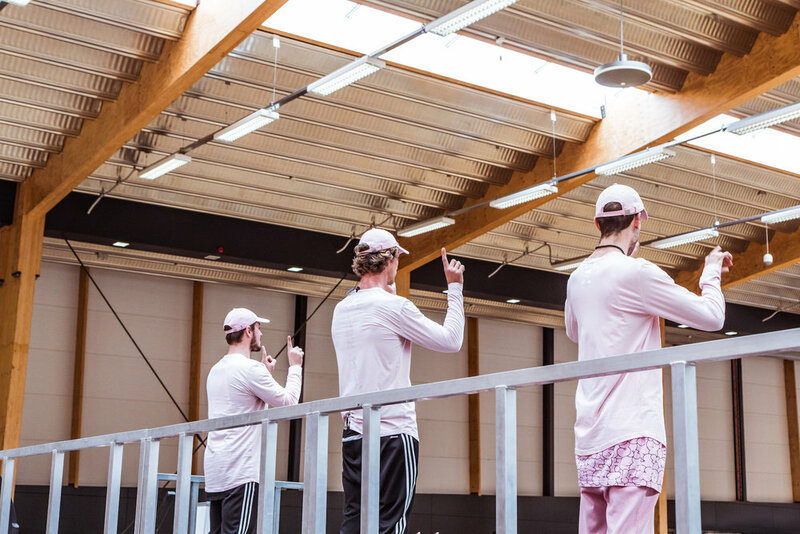 Commenting on the experience of creating and performing the piece, Doherty says; "Presenting (and performing in) my own work at ADF as part of the Next Choreographer's competition for me was not about winning for a second ! But rather an opportunity to develop an idea that I've had floating around in my mind since my Dad first showed me the song 'Burn Away' by Patrick James. The piece is actually part of a much larger whole (show) that I am working towards developing, but this piece in particular is all about 'heart' and an exploration of the dualities that exist within life, love & relationships. I wanted to play with the idea of displaying two contrasting energies and intentions revolving around the same unifying centre. Joy vs Heartbreak, Beginnings vs Endings, Light vs Darkness and the idea that in the infinite cycle of life, nothing can exist without its opposite also eventually bearing it's presence. The thing I liked most about bringing this piece to life was approaching it with a completely new choreographic process than I usually have. For a piece that was inspired by a song it was interesting to note that we did not even start to put the movement to the track until our second last rehearsal. I wanted to make the relationships displayed by the couples as authentic as possible which is why I chose to use real couples to create on - Neale Whittaker and Aimee Regan and my partner Rob Mclean and I. Which presented a big challenge in itself - it's extra hard to create something you are also in!!! The perfectionist in me definitely found it frustrating to not be able to have total control over really cleaning up timing, angles and shapes in our limited rehearsal time but after watching back the footage from the performance I have grown to love the imperfection of the piece and that it's flaws are actually what makes it a more true representation of love and relationships. And because for me the piece was a very personal sentiment, inspired by my Dad and his relationship with my mum, it was really special that I could have the opportunity to perform it with the person I love." Neale Whittaker's piece was another standout - utilising experimental contemporary-urban techniques (which he playfully calls 'Neale style') Whittaker made phenomenal use of his dancers' bodies, undulating between staccato movements and perfect fluidity all to the haunting vocals of Carlos Varela's beautiful 'Una Palabra'. Then there was Cat Santos's smouldering ensemble piece that showcased incredibly slick, dynamic choreography complete with a film noir-style narrative, a scintillating femme fatale and heart-racing climax - all overseen with incredible attention to detail. Perhaps the most telling example of the genuine camaraderie that everyone felt at ADF this year though was witnessing almost all of the choreographers up for the award also make incredible performances dancing in one or more of their fellow competitors' pieces - and the genuine warmth that all of the N.E.X.T. Choreographers exhibited when Cat Santos was announced as the 2017 Winner. Overall ADF just keeps getting bigger and better every year. When I think it couldn’t possibly top the year before… it does! 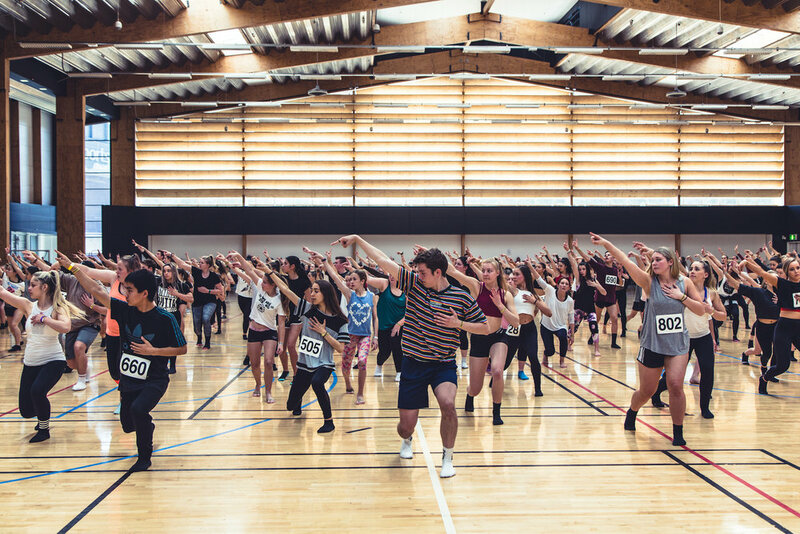 I love seeing so many faces both new and already recognised and it is so refreshing seeing everyone taking class purely for the love of dance and not for anything else. This year in particular was special for two reasons. Firstly I got to perform for a third time with my Dream Dance Company family in this years show “Enter The Vortex” Choreographed by Sarah Boulter. It was an experience that was second to none and I will never forget that night’s performance with my cast! And secondly I was humbled by being recognised and awarded this year’s ADF N.E.X.T Choreographer Award where I won a $5000 budget with NRG Australia to film a piece of my choice. Beside me in that line up were seven other highly recognised and inspiring choreographers who I believe could have easily been in my place! Each and every one of us put our heart and soul into our creation that night, and regardless of the title I believe our goal was to create a night of contrasting performances that had just as equal impact as each other to blow the ADF audience away, and I truly believe we did that! 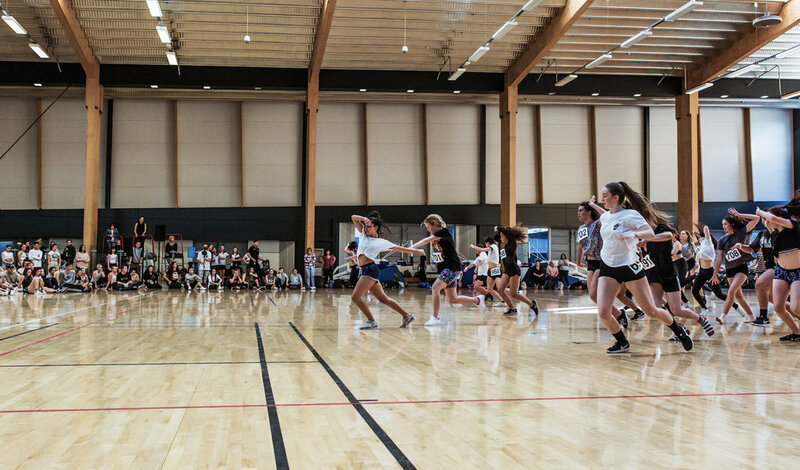 Another highlight of the event was the performances from some of Australia's leading dance schools. In particular Stephen Tannos' work for Project Dance; 'What Lies Beneath' was an addictively enjoyable wonderland-esque adventure into a psychedelic world of fantasy; all masterfully directed by Tannos, and superbly executed by the PD dancers. 'What Lies Beneath' incorporated all of the sharpness and panache Tannos is renowned for, with the added distinction of being the only piece (barring the Dream Dance Company performance) to incorporate video into the performance, amplifying the atmosphere twofold. It's no wonder with such a flair for lucid creativity that Tannos' classes are as popular as his choreography and something he enjoys as much as his students do; "ADF is always such an incredible time of the year, I personally enjoy teaching to the masses much like the classes at the festival. I just love the energy in the room, so many special things always happen between those 4 walls." 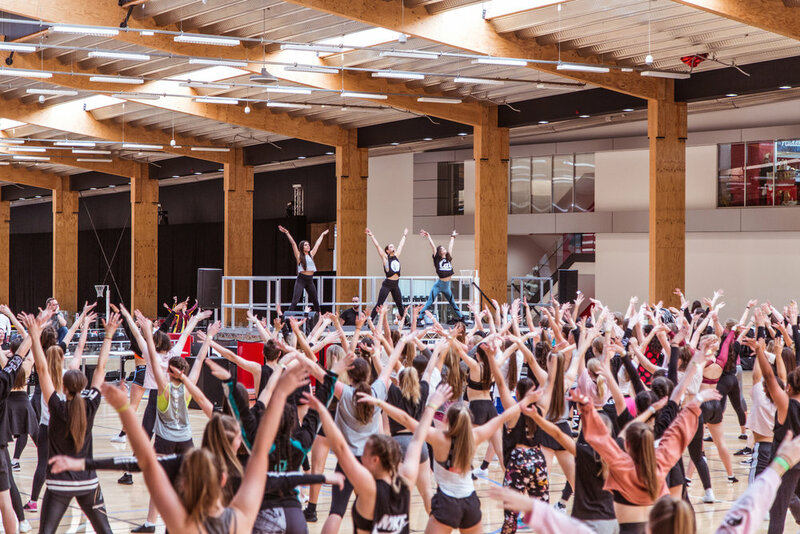 Many of Australia's leading dance schools also brought the heat to the stage as they competed for Australia's Best Dance Crew. And whilst competition was fierce, Jenina's Dance Workshop ultimately walked away with the title of 'Best Choreography', whilst Village Nation received 'Most Entertaining', 'Most Technically Excellent' went to Dynamite Studios Academy and Dance Force was awarded 'Best Costume'. The weekend could not have ended on a more spectacular note as The Dream Dance Company brought their current show, 'Enter the Vortex' (choreographed by Sarah Boulter) to the ADF stage and reaffirmed for every dancer in the room why each ache and bruise from the past three days was worth it; nothing compares to the sheer awe of watching talent, artistry, athleticism and performance collide in a way only dance can offer. As the third production to come from this burgeoning company, Enter the Vortex is unparalleled in it's conception, calibre and execution, and creates a complete sensory immersion that will captivate and thrill it's audiences from the first enthralling second to the last. And so it was that ADF 2017 came to a close with a thundering standing ovation, a fitting end to an outstanding weekend. 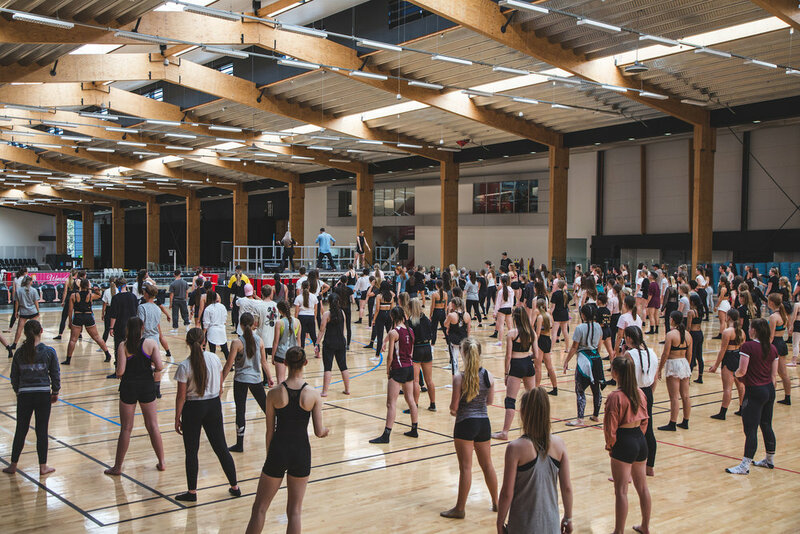 One thing is for certain; few events will have left a bigger imprint on the dance community this year than the incredible weekend that was ADF 2017; and next year's Australian Dance Festival is bound to be just as extraordinary.